Debra Schiff is the President and CEO of the J Street Group, LLC. Debra has more than 35 years of event management and protocol expertise in the United States and abroad. Ms. Schiff is no stranger to working with the highest level of government officials, business executives, academics, innovators, media, celebrities, entertainers, and athletes, and is valued by her clients as a trusted confidant to produce events with the utmost confidence and discretion. J Street Group is known as one of Washington, D.C.’s premiere event production and destination management companies as highlighted in Washington Business Journal. The WBJ has named J Street Group as one of the top 20 event planners in Washington, DC. Understandably, Debra is one of the most sought after event planners in the United States and abroad. 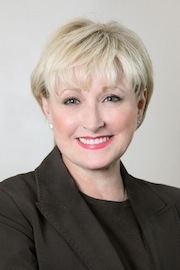 Debra has uniquely created a full-service boutique firm that specializes in providing meticulous planning services while focusing on the participant experience. J Street Group highlights include the opening of the William Jefferson Clinton Presidential Library, opening of the McDonough School of Business Rafik Hariri building at Georgetown University, Halifax International Security Forums in Halifax, NS for two years, U.S.-China Investment Week Launch, Inaugural Balls, PriceWaterhouseCoopers management meetings, Washington Area Women’s Foundation Annual Fundraising luncheons, Susan G. Komen Global Health Summits and the Carbon War Room Creating Climate Wealth North American Summit and Gala with Sir Richard Branson. Debra’s prior consulting firm, Debra Schiff & Company, advised clients such as General Dynamics Advanced Information Systems, on a complete range of event management services, including event production and destination management. Because of Ms. Schiff’s tenure at the U.S. Department of State, where she served as Assistant Chief of Protocol, Debra is one of the few experts in the United States versed in international protocol matters and the details that go along with producing functions for world leaders by creating frameworks for successful diplomacy and engagements. Working with style and elegance and acute attention to detail, she planned and executed official and ceremonial events honoring foreign dignitaries, heads of state, members of Congress and VIPs on behalf of President Clinton, Vice President Gore and Secretary of State Albright. Ms. Schiff was also instrumental in the planning and oversight of sensitive and highly visible events for the Middle-East Peace Talks and NATO 50 festivities. Ms. Schiff also has had the unique opportunity to be a member of the core Oval Office Operations staff in The West Wing of the Executive Office of the President of the United States. As liaison with the travel industry and the White House Travel Office, Ms. Schiff traveled with the President and the White House Press Corps. Based in Washington, D.C., Debra hails from the Lone Star state where she has held various management positions in the airline industry and owned a successful advertising specialty business. She also serves on the board of the National Multiple Sclerosis Society and is actively involved with the Lombardi Cancer Center, Child Rite, American Heart Association and many other charitable organizations.